What is Color Guard/Tall Flags/Dance Props? Modern color guard uses flags, sabres, mock rifles and other equipment combined with choreographed dance, interpretive movement and gymnastics while performing routines set to music. 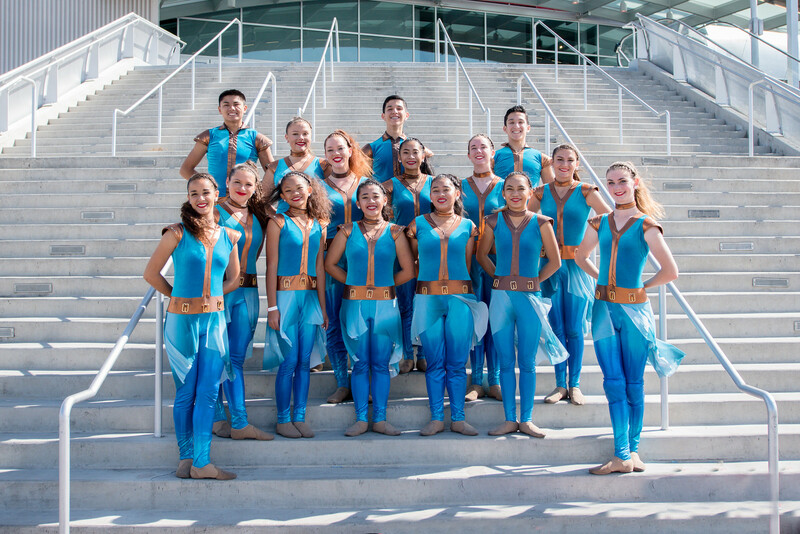 During the fall, members of the Color Guard team perform and compete along with the MC Marching Band at football games, field show tournaments and parades. The guard provides visual interest and “color” to the band’s performances. After marching season concludes, the Winter Guard team performs throughout San Diego and Southern CA in Guard only competitions. Winter Guard is conducted indoors in an indoor arena. Choreographed routines are performed to music. Students interested in joining the Mt. Carmel Color Guard team should contact Band Director Garry McPherson gmcpherson@powayusd.com or Color Guard Advisor Brent Dunlap at mcguardadvisor@gmail.com Participation in Guard will earn you P.E. credit first trimester.